Do you agree this is an amazing image? Does it awaken your sense of wonder as it did mine?This is exactly how I shot it with my phone app, the image is completely unrefined. 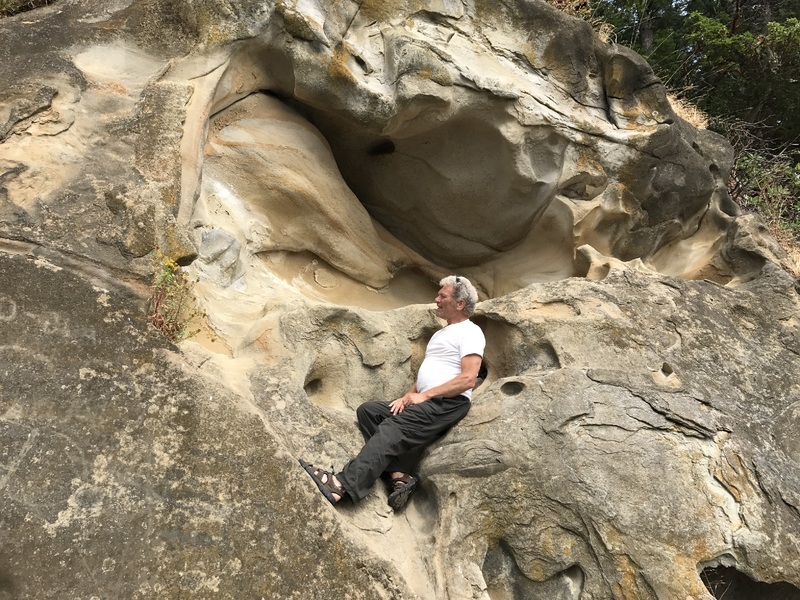 I was relaxing by a sandstone bluff on one of the big smooth rocks lining the sides of Tribune Bay. It was evident to me this was a special place, the unusual topography evoked thoughts of ancient sentinels, embracing the gently sloping sandy beach. I was mere meters from the prime beachfront location where I'd just arranged our next retreat. No-one was around, so my dog, a Collie-Husky lass, named Spirit, was happily off leash and sniffing around to her hearts content. I leaned back and looked around, soaking it all in and started processing the environment and upcoming retreat. I was comfortable and relaxed, pondering my central message for what was promising to be another enriching and unique experience. 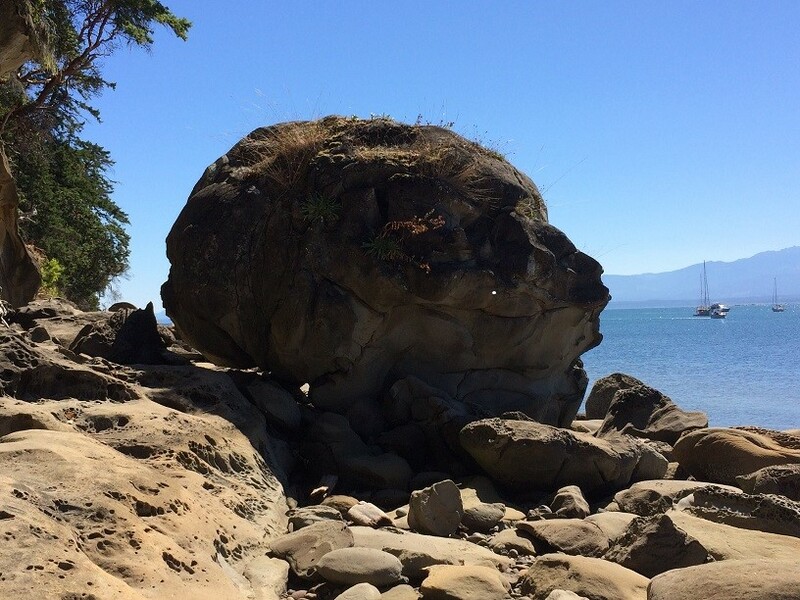 I looked to my left, watching as Spirit came happily trotting back alongside a fascinating bluff with eye-hole shaped erosions and spiritually evocative protrusions, and suddenly noticed this magnificently detailed boulder in the shape of a human head, positioned about 15 feet away. I took in the detailed striations outlining its gradually defining features as they sharpened into crystal clarity while a surge of awe and wonder awoke within me. Delighted, I realized I had found the driving message and my focus for this next "Tao of Adventure" retreat, or more accurately, the theme of the island had found me! This is the beauty and synchronicity of the Tao. When we set an intention or pose a question inward or even outward to the universe, so long as we are available to the present moment - the answers and solutions soon either come forward, unveil themselves or rise to the surface to become apparent. This is an inherent aspect of our brain function, accessible to us all through ki-energy. Once one steps on the path of awakening, it is as exciting and liberating to see these abilities unfold as it is challenging to master them, which requires cultivating the limitless potential that lies within us to produce a specific result. Did you know that the Tao Healing Arts (sister to the Martial Arts) is the foundation of the Asian Health System, Quantum Science, Brain Science and the Laws of Universal Attraction? These ancient sciences which are only now under the microscope of western health, business and social thought leaders, are steadily winding their way back to what Taoist Scholars have been meticulously studying, recording and cultivating for thousands of years. The greatest part is that this is a living breathing process that can awaken health and wisdom within each fiber of your being when properly guided. Essential energies deep within that darken and suffocate when your mind is focused outward for too long can quickly revitalize with a little attention. They literally sparkle as they enliven every cell in your body and your brain. If you allow yourself to relax and journey within through your own special portal, the one that exists only in the present moment... something truly priceless happens. You will soon see you can transform your life to a higher level of enjoyment and creative expression. This is a simple fact and feature of your brain because at its essence, it wants you to flourish and create. That's why we become unhappy and eventually ill when we're not. By connecting to your core and objectively, honestly investigating your hopes and challenges, your creative ability... your sense of purpose and belonging will elevate the quality of your life to a whole new level. This is the inherent nature of life and evolution. 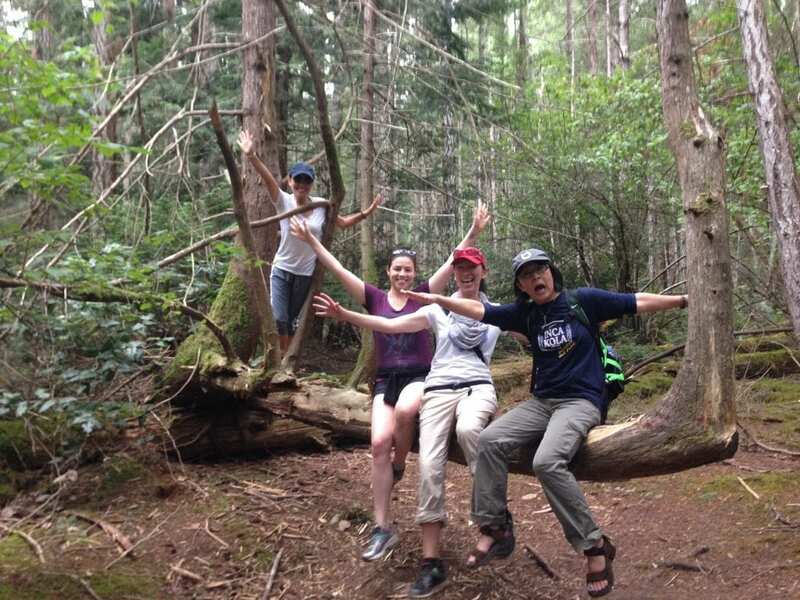 To me, the spiritual essence of Hornby Island is a prayer for human evolution, awakening us as individuals to more honest, liberated and empowered roles within our lives, and the environment which molds us. Encouraging us to reconnect through our ancestral lines, awaken the truth within. Healing and releasing what blocks our growth and self expression to harness our energy, come into full bloom and flourish. This alignment is the source of true joy, health and peaceful creativity. By maintaining our health, nurturing our hearts and cultivating our minds, we can essentially walk through the present bringing our best selves forward and into our future with the grace and confidence, generating a wonderful example and inheritance for the children and those who follow behind us. Lets return to my discovery of this fascinating boulder which so powerfully evokes an invitation to explore the sacred. Not surprisingly, Hornby Island has been revered as sacred ground by the regions First Nations Bands for centuries. I was inspired to include a labyrinth building workshop as one of the optional activities. We use it during an evening walking meditation, under the stars overlooking the ocean and mountains. It is a traditional 7 circuit labyrinth, in the shape of a human brain with each of the 7 circuits representing the corresponding chakras as it relates to the brain. This resonates with me on a deep level as my Father was one of the worlds foremost brain specialists and my mother was a horticulturist. Her father was a pharmacist back in the days of natural compounding. Bringing aspects of this trio together on this sacred ground, overlooking the ocean, under a big blue sky invites me to infuse it's creation with love, hope and rich blessings for those who journey within. I find the process of planning, consecrating, building and guiding seekers through labyrinths a marvelous way to honor my parents and ancestors in a soulful way, while sharing the power of this sacred pattern with others. 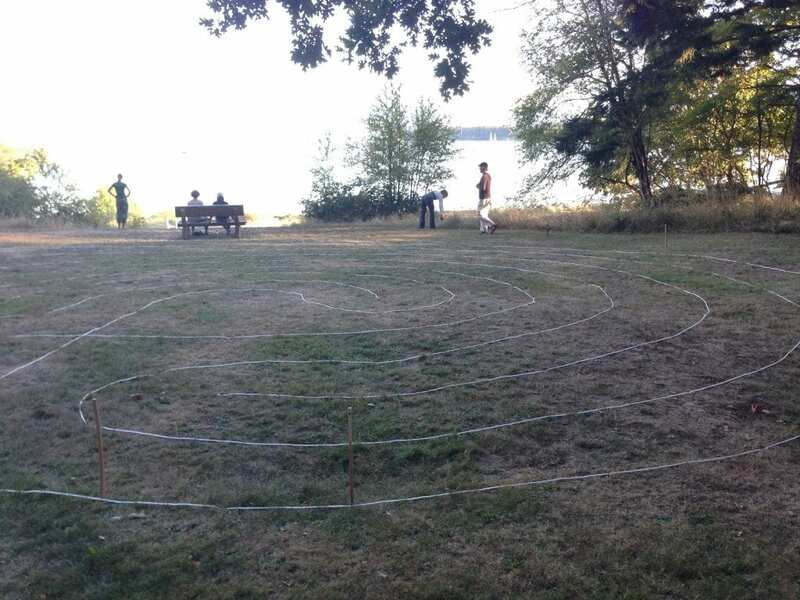 I've seen this labyrinth transform numerous lives during this retreat. It is a powerful agent of change. It can motivate you to walk forward in life honoring your gifts to the world, while letting go of habits and thought patterns that don't or no longer serve you. This is one of the ways I am planning to sparkle with joy this summer. I am also planning a kayak tour of the islands with friends and a few weekend camping trips with my dog, Spirit. I’m looking forward to seeing what energies she stirs up next! I hope I’ve inspired you to journey within and cultivate your energy system. You will flourish and grow with health, happiness and peaceful connection as you do. Arrow Gonsalves is the Founder of “Heart Drum Beat – Brain & Body Training Academy” and “The House of Now Wellness Center” in Courtenay, Vancouver Island. She is a Master Trainer & Healer of the Tao Healing Arts, an International Bestselling Author and Motivational Speaker... offering live and online - classes, workshops and retreats.